Now, my visibility is turned on by GOOGLE. 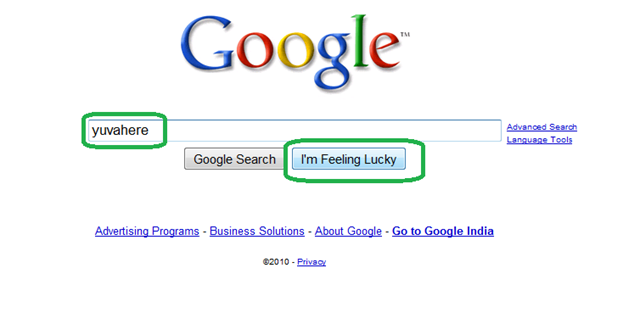 Wanna type, “Yuvahere” and click to “I’m Feeling Lucky” –> this will directly redirects to my website. Really its a pain in slipping off from the dream company and coming out in frustration, Now I have to wait for another 6 months for this opportunity again.